We wanted to make a public statement regarding allegations against Fameswap. A lot of users on our site get contacted through direct messages by scammers, scammers pretending to be official escrow representatives, which they are not. Until recently, our resources to fight bad actors inside the messaging system were limited. Going forward, we made multiple hires and are monitoring messages and activity of all users daily. We hope this will put an end to malicious behavior that went unmonitored, we hope to prevent scams and ban them before any damage is done to our users. Lack of proper communication and contact from our team caused a lot of confusion, and why threads like this started to appear on the forums. We are working on opening up proper contact channels, and hoping that we can serve our users better as a result. If anyone has any specific questions, we will be happy to answer. People have complaint about your escrow service as well. If you actually read through that thread, there are users leaving positive testimonials about successful Fameswap Escrow transactions. The OP (a seller) who created that thread is spreading false information, made up facts, and withholding a lot of important details from the public. The OP contacted us asking to pay them to delete that thread, trying to extort money from us. Because we respect our users privacy and protect both buyers and sellers, we didn’t discuss details about that specific case in public. But since the seller is attempting to extort money from us, we will reply to that thread to set the record straight. Why don’t you reply on that thread and tell everyone that OP is extorting money from you guys, it will impact more there, not here. Or you’re replying here just because this thread is ranking on Google? When everybody have doubt about your service, then you guys came to make your points, instead you should solve such a thing initially, that’s my opinion. 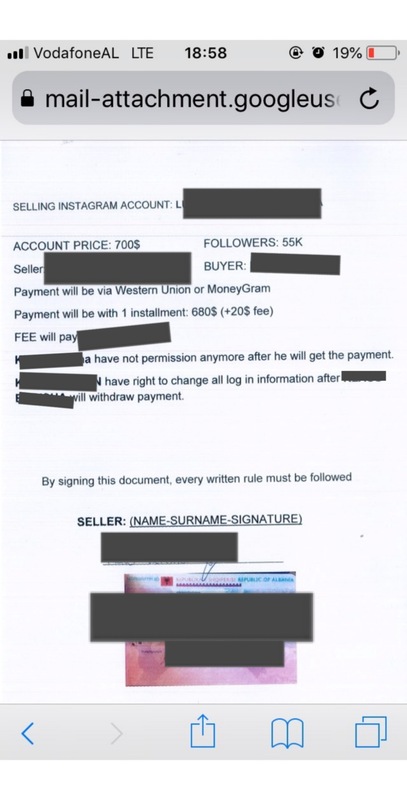 No, Fameswap Escrow is not a scam. The original poster of the thread you linked to was deceived by a scammer and tricked into believing they were contacted by official escrow team through simple messaging system between buyer and a seller. They provided no evidence that they actually spoke to a member of our team, or had any ongoing escrow transactions with us. I’m looking into purchasing an account, will a contract help in any way if it were to be a scam? Contracts are only as good as enforcement. And this is a $700 product so it’s not a high priority. Also, why would you or anyone pay Western Union or MoneyGram? Run now. Man. This just smells funny. Albania, won’t use PayPal. What’s a contract going to do? Where are you going to sue him? It’s under 10K anyways and in America that’s a small claims court. No way I’d send a money gram. Just my 2 cents bro. The biggest red flag is you’ve no gut to face that thread…You should reply there not here.